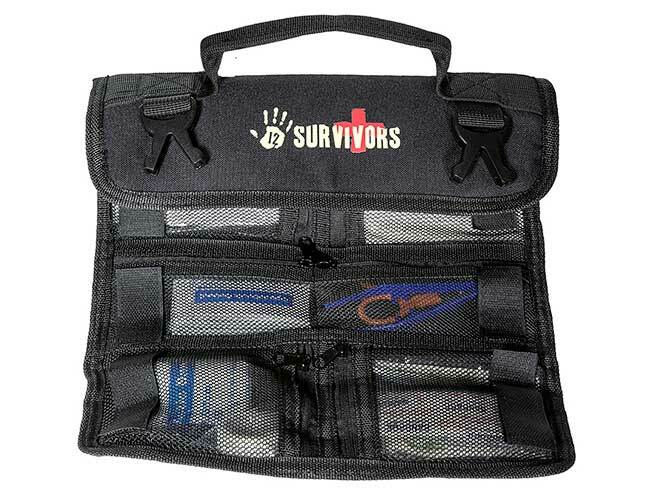 12 Survivors offers its Mini First Aid Rollup Kit and Mini Medic First Aid Kit to treat injuries. Both are compact and can be stored in a vehicle for emergencies. 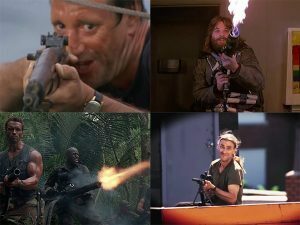 Out here, you’re the first responder. When things happen, 12 Survivors offers first aid solutions with the Mini First Aid Rollup Kit (TS42002B) and the Mini Medic First Aid Kit (TS42003B). Used to treat a variety of injuries, these small kits pack powerful medical attention when doctors are miles away. Designed for easy, compact carrying, both kits are easily packable for camping and hiking, and can be stored in a vehicle for emergency situations. 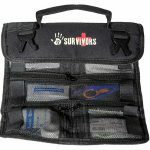 The 80-piece 12 Survivors Mini First Aid Rollup Kit includes adhesive bandages, dressing gauze, antiseptic wipes, tweezers, adhesive tape, emergency blanket, medical manual and more. Intended as a starter kit, the seven interior zipper pockets keep supplies separated and organized for easy access while providing ample room for additional survival gear and full customization. MOLLE straps and two buckles with a Velcro closure add to the kit’s versatility. 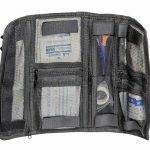 Even more compact, the 12 Survivors Mini Medic First Aid Kit features 61 pieces for critical medical care. 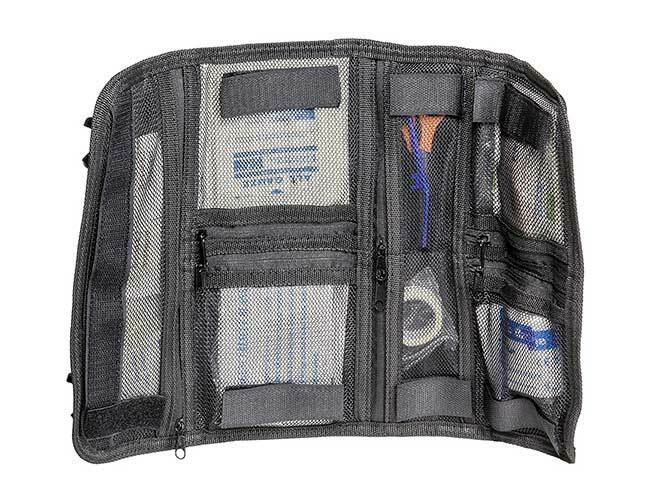 The Mini Medic First Aid Kit contains 50 adhesive bandages, 1 non-woven adhesive bandage, 2 knuckle adhesive bandages, 2 butterfly adhesive bandages, 3 antiseptic wipes, 1 pair of tweezers, and 1 trifold pouch, all housed in a trifold nylon carrying case, making for a snug fit in backpack side pockets. 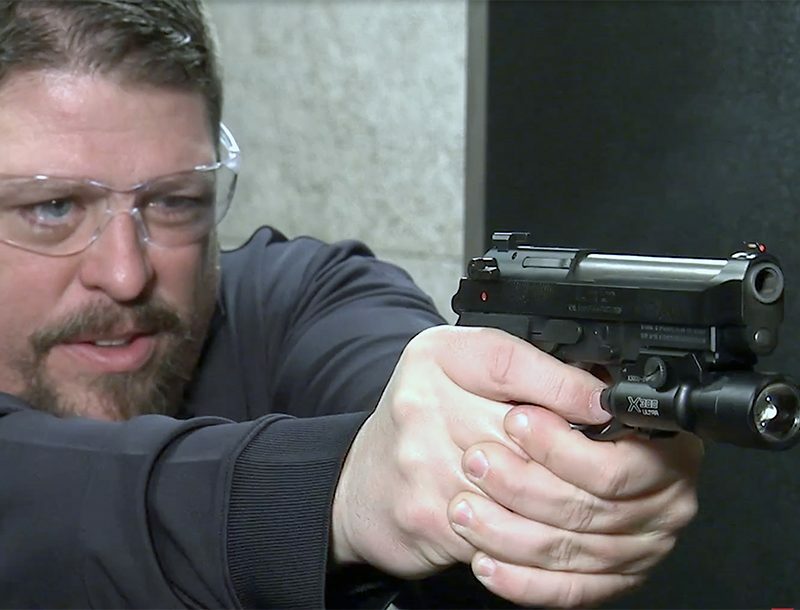 Visit Facebook, Twitter, Instagram and YouTube to learn more about 12 Survivors® products.